MOSCOW, September 21. /TASS/. 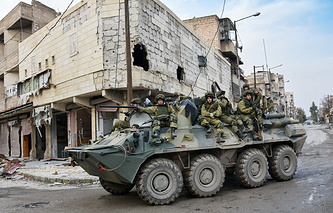 The Kremlin agrees with the assessment of the Russian Defense Ministry that the United States had a role of initiating the militants’ attack in the Idlib de-escalation zone in Syria, Russian Presidential Spokesman Dmitry Peskov said. "This [assessment of events by the Kremlin] cannot differ from what was stated by the Defense Ministry. That’s why all what was said does not need any more comments," Peskov said. Russian President Vladimir Putin was immediately informed about this incident, Peskov said. On Wednesday, the chief of the main operations department of Russia’s General Staff, Sergey Rudskoy, said gunmen of Jabhat al-Nusra (terror group, outlawed in Russia) launched a large-scale offensive against Syrian troops in the Idlib de-escalation zone on Tuesday. 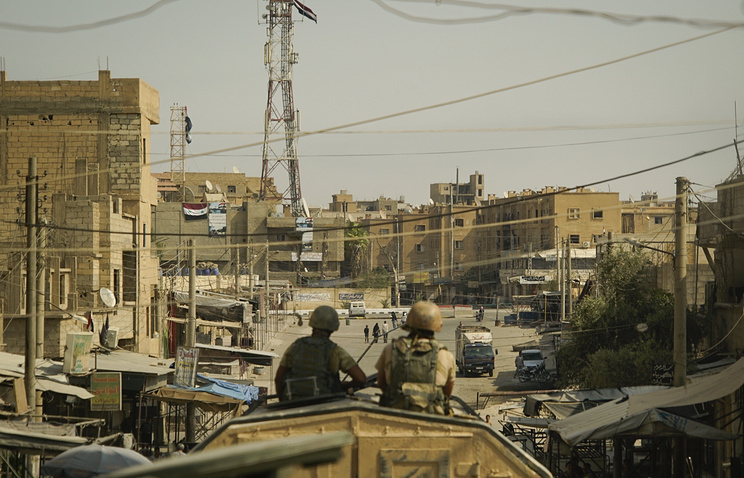 The offensive was initiated by American intelligence services to stop a successful advance of government troops east of Deir ez-Zor and was repelled. One of the militants’ main aims was to try to seize a Russian military police unit, deployed at an observation post to control the situation in the de-escalation zone, he said. As a result of the militants’ attack, a 29-strong platoon of military police was sealed off and was beating back attacks by an outnumbering enemy force shoulder to shoulder with a unit of the Muali tribe, which had signed the ceasefire agreement. To break through the encirclement to the surrounded platoon the commander of Russia’s force in Syria formed a special group consisting of special operations units, military police manned by Caucasus-born military personnel and Syria’s commandos. Three members of the Russian Special Operations Forces suffered wounds while breaking the militant encirclement near Idlib.